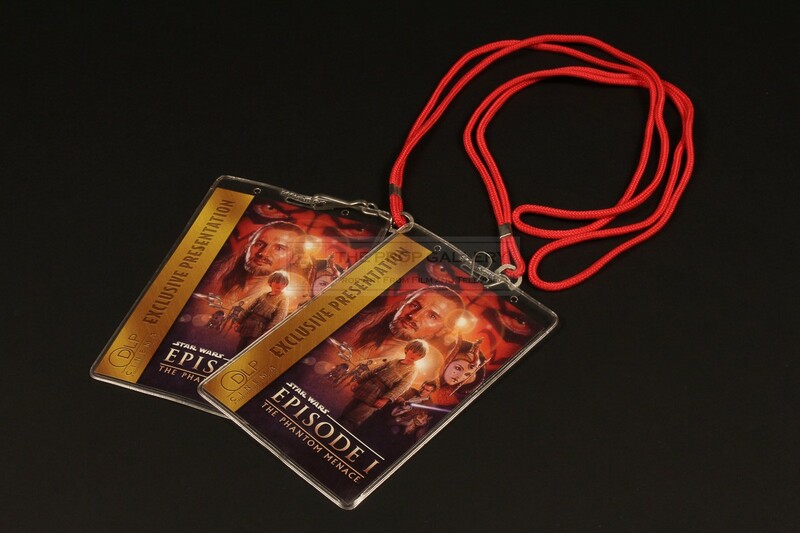 Original screening lanyards from the production of the 1999 Star Wars trilogy prequel The Phantom Menace written and directed by George Lucas. On June 18th 1999 The Phantom Menace became the first movie to be digitally projected to cinemagoers in four locations, these lanyards and ticket are from the showing at AMC's Burbank 14 Theatre. 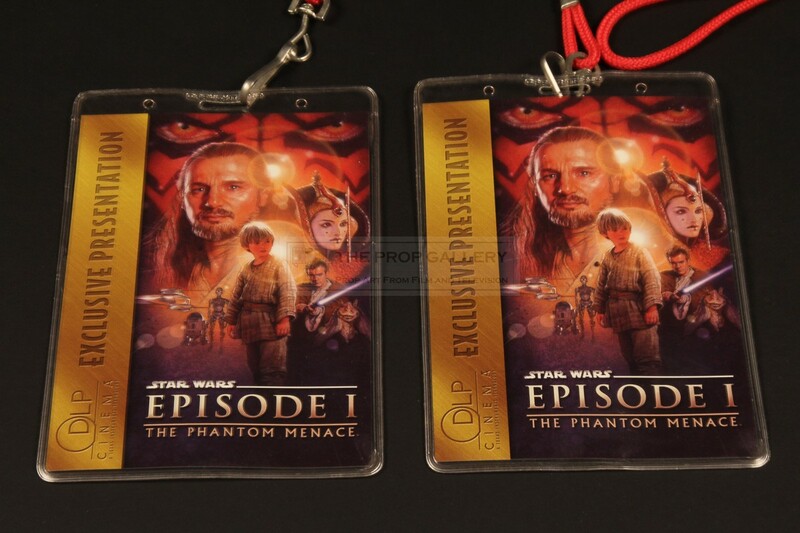 They read 'Texas Instruments is proud to present the first all digital showing of Star Wars:Episode I The Phantom Menace. Digital projection replaces film projection for the first time ever in movie theatres equipped with DLP Cinema technology'. 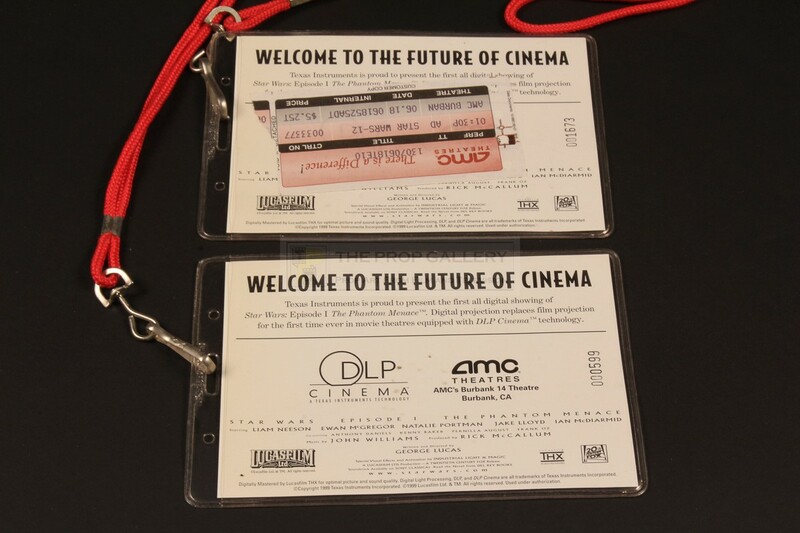 The two passes are printed on card housed within plastic wallets with attached cord, they measure approximately 6" x 4" and remain in excellent condition with the used ticket measuring 3.5" x 2.5". A rare collectable from this landmark screening.